Services is a handy module of Marvin that helps to integrate third-party calculations * via the MarvinSketch GUI. The linked services are listed under the Services menu. The menu contains the names of the services in the formerly set order. When no Services are set in MarvinSketch, the Services menu will be disabled. Select the desired third-party calculation from the Services menu. The opening new window — right of MarvinSketch — has the same title as the service name. Structure: The upper panel will show the structure in question. 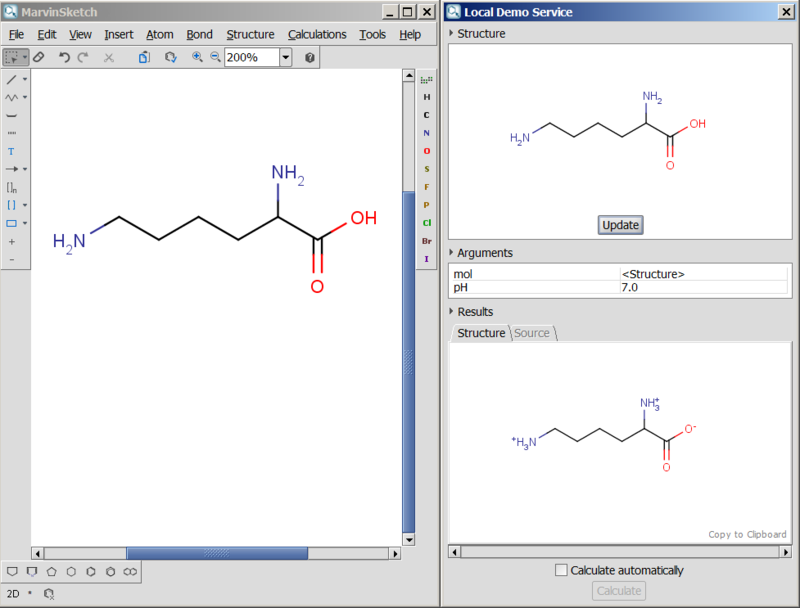 The structure can only be edited in the MarvinSketch window. Calculate button: Calculates and retrieves the result.